A celebration of life for Robin Bitzer of Baudette, MN will be held on Saturday, September 15th at 5:00 PM the Baudette American Legion. Memorials are preferred to the Lake of the Woods Humane Society. 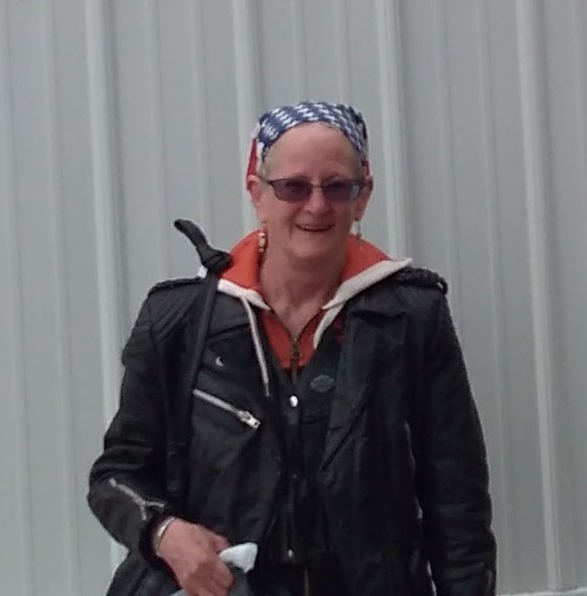 Robin L. Bitzer, loving wife of Keith Bitzer, ceased her labors on this earth on September 4, 2018 after a brief struggle at Sanford Medical Center in Fargo, ND at the age of 63. Born November 27, 1954, Robin was the older daughter of Charles and Sue Brown of Hendersonville, North Carolina, and had traveled America during her father’s Air Force assignments. An accomplished artist and bead jewelry maker, her work had been featured in several craft magazines. In addition to her husband, Keith; she is survived by her father; sisters, Sheila Kinser of Wheeling, WV and Stacey Watson of Warroad, MN; four nieces and two nephews; and her 4-legged children, Penny and Memphis.